Interested in attending Engage360? 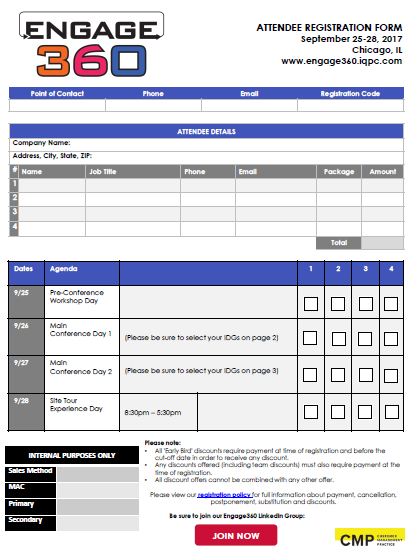 Fast track your attendance by filling out the official registration form. After completion, please send your form to enquiry@iqpc.com or let us know if you have any questions.